For Sandee Sandberg, just knowing where to turn for help in caring for her mother was overwhelming. At 75, Betty Hoaglan has diabetes and other health issues, and lives with her daughter. Then Sandberg, 52, learned about Elder Services and a new Family Caregiver Support Program initiative. It’s now bringing ResCare services to her Spokane home for nine hours a month, with an aide to help her mom go on outings. “There are so many places you can go for help, and it’s very confusing to know where to go, what to do or even where to start,” Sandberg said. “It was very good to have someone say, ‘This is where you need to focus your energies.’ It takes away the uncertainty. It also provides hope. They got initial help under Tailored Support for Older Adults, a new state eligibility category and benefit for people “at risk” of needing future Medicaid Long Term Services and Supports. Tailored support recipients typically have too many assets to qualify for Medicaid, and it’s designed to help people avoid or delay impoverishment and the need for traditional Medicaid-funded services. Under a five-year pilot, Washington state in September launched two initiatives for the Family Caregiver Support Program, including the tailored support program and Medicaid Alternative Care, with services wrapped around unpaid caregivers. Seniors who lack unpaid caregivers also might qualify for limited tailored support help. The Medicaid alternative program is for people who are eligible for traditional Medicaid long-term care support, but they choose not to for various reasons. Under the broader title of Medicaid Transformation Demonstration, both initiatives offer up to $550 a month in free services to support unpaid caregivers helping someone at least 55 years old. Care recipients must need help with some daily-living tasks such as bathing, walking and medications. Services and equipment offered under both programs depend on individual needs and can include caregiver education and support groups, respite care, equipment such as a shower bench, and supplies. The initiatives are aimed at helping seniors stay independent longer in their homes, to avoid or delay more costly Medicaid long-term care. If Washington’s approach shows effectiveness and cost savings by the end of 2021, other states could replicate the model. Aging and Long Term Care of Eastern Washington administers the program locally and contracts with Elder Services, which has senior caregiver support specialists to evaluate needs. Although the Family Caregiver Support Program itself isn’t new, the added initiatives established different eligibility categories and benefits for families taking care of aging parents, or even neighbors and friends doing the same, Kimball added. It also offers a choice, so seniors don’t have to “spend down” assets to qualify for long-term Medicaid care. “To qualify for Medicaid long-term care, people have to have a limited number of assets and resources,” Kimball said. “If they aren’t at that level yet, people enter what is called spend down, where they’re spending down their assets and resources in order to qualify for long-term care. Under both initiatives, Medicaid won’t seek cost recovery from estates after the death of a recipient, which can be done with traditional Medicaid long-term care services. “That can be a big difference for people,” Kimball said. The pilot is bringing in about $180 million in federal funds to test the initiatives until the end of 2021, said Bea Rector, director of the Home and Community Services Division within the state’s Department of Social and Health Services. State and federal studies will measure effectiveness and costs, compared with what Medicaid typically pays toward long-term care services. The state received a waiver for certain Medicaid rules to test the initiatives, Rector said. “The high-level goal is the same for both these services; that is to meet people’s needs for long-term services and supports and help delay or divert from more costly full Medicaid benefits,” she said. In Washington, Medicaid on average spends nearly $5,400 a month per person for skilled nursing long-term care, Rector said. 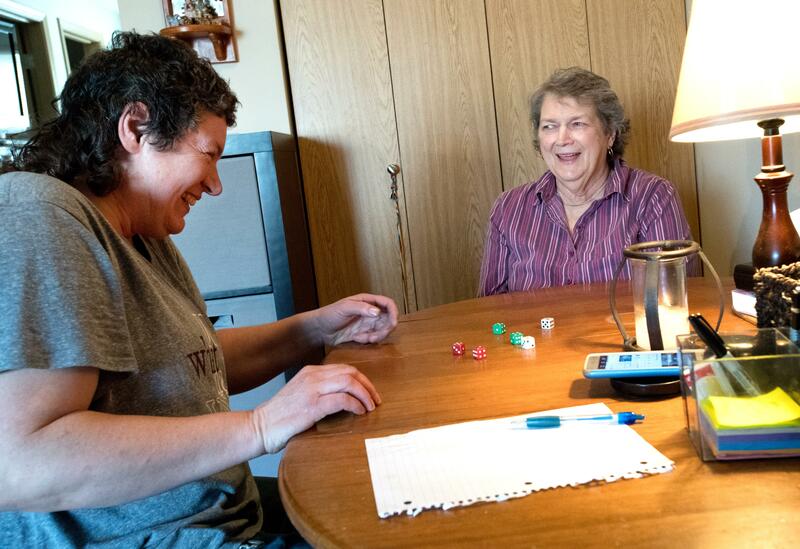 Medicaid-supported in-home care costs about $2,000 a month, she said. Additionally, Medicaid on average picks up about $800 a month for the medical side of long-term care such as for co-pays on prescriptions drugs, Rector said. “As the number of people who are older is increasing in our state with the baby boomers, there is a really high correlation between old age and the need for assistance in order for people to live in their own homes. Tailored support recipients can have roughly $50,000 in resources, instead of about $2,000 typically required to be eligible, Rector added. A senior without any caregiver support under the tailored support program might qualify for home-delivered meals or a personal emergency response button in case of a fall. Christy Vlasak, Elder Services caregiver support specialist, encourages people to call the agency if they’re unsure where they fit under new categories. It can get complicated. For example, Medicaid Alternative Care requires that the recipient be someone who is on Apple Health, she said. “We encourage folks to call us if you’re an unpaid caregiver and you need help,” Vlasak said. “We can help people find the best program. The rules can be confusing. Centers for Medicare & Medicaid Services approved the state’s waiver in January 2017. By the end of 2021, Rector said the hope is that the initiatives will be self-sustained through the state as cost-effective measures. Kimball said about 80 people in Eastern Washington have received services under the two new initiatives since last fall. Aging and Long Term Care’s goal is to support 250 people a month under both initiatives by the end of 2018, and more than 600 a month at five years. Statewide, the goal is to help 8,000 people a month through both efforts. Officials are interested in the results because some states have had to water down or cut traditional Medicaid services as the senior population increases, Rector said. “What we’re trying to do with our waiver is to prove or demonstrate to the federal government that supporting unpaid family caregivers makes sense to the bottom line because we can delay or divert people from these more costly Medicaid-funded programs,” she said.